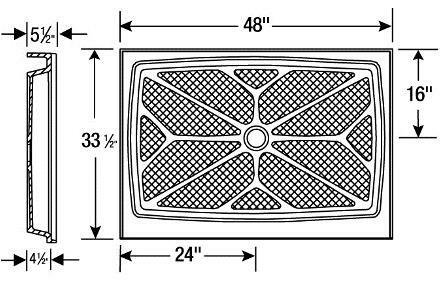 Slightly smaller in width, this unit is sized to replace existing fiberglass bases. The rectangle shower base has a center drain. 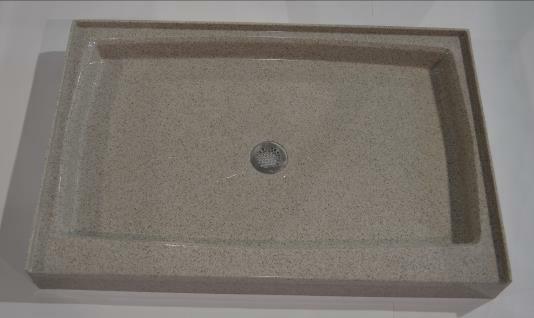 34" x 48" x 4.5"
It features a designer textured slip resistant pattern on the floor surface, and an integral raised water dam to protect against water leakage.